Gentle products just for them. 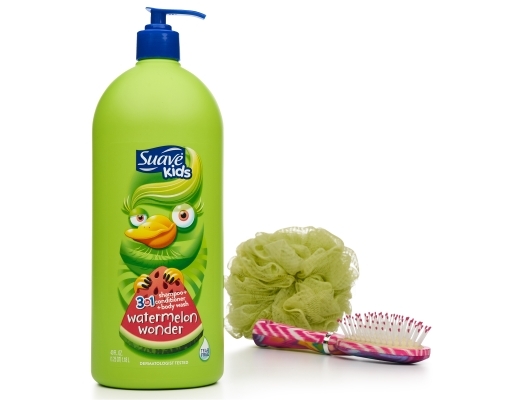 You and your kids will love Suave's easy-to-use, great smelling products. 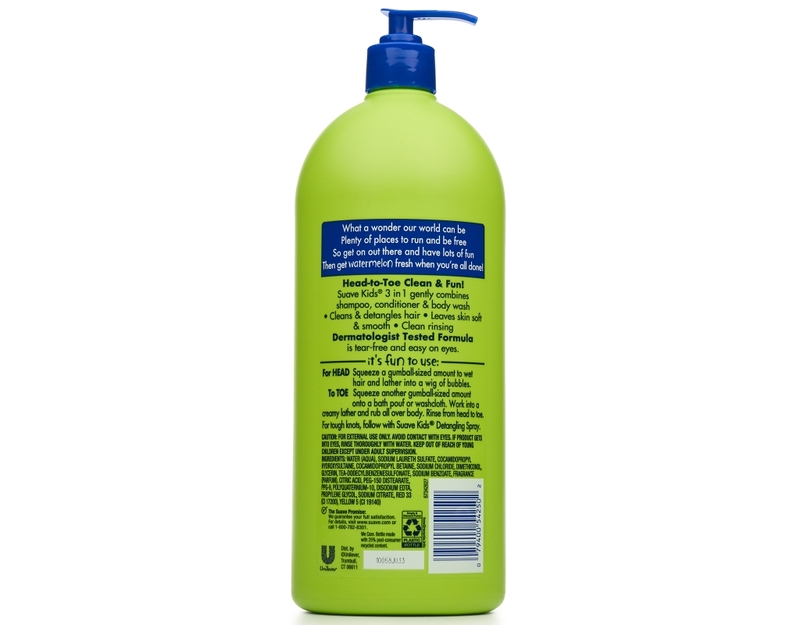 Hypoallergenic and tear-free, Suave Kids 3-in-1 formula gently combines shampoo, conditioner and body wash to help clean and detangle your child’s hair while leaving skin soft and smooth. Its creamy formula, made with gentle conditioners reduces split ends and leaves hair feeling extra soft. 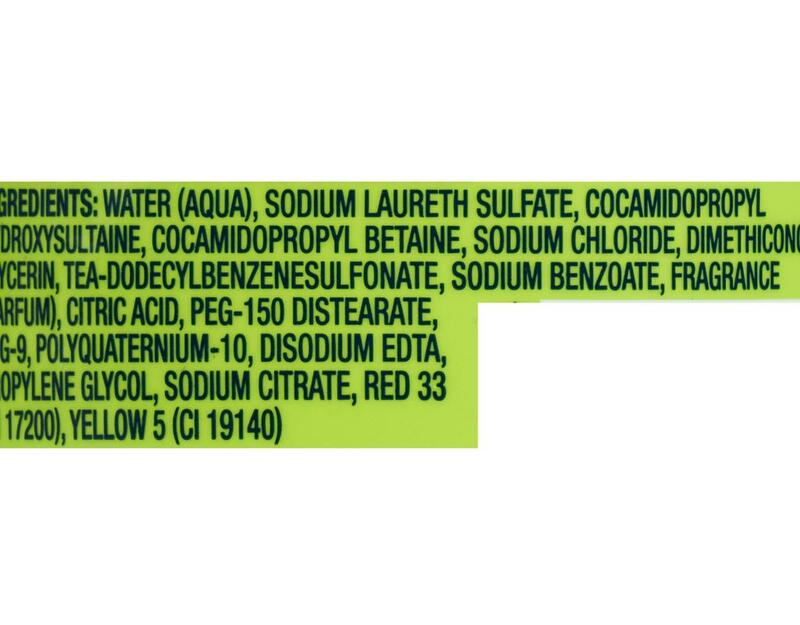 It also helps eliminate tough tangles right after shampooing. This 3-in-1 is perfect for kids who can't sit still! 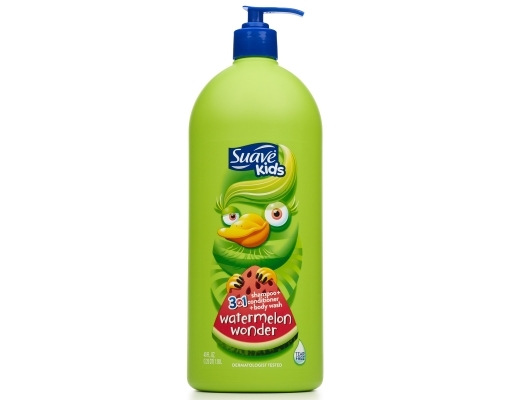 The watermelon shampoo and conditioner plus body wash refreshes hair and cleans skin in one step, helping them hurry back to the fun. Plus, the fruity fragrance leaves a subtle scent, making your kid's hair smell sweet and clean between washes. 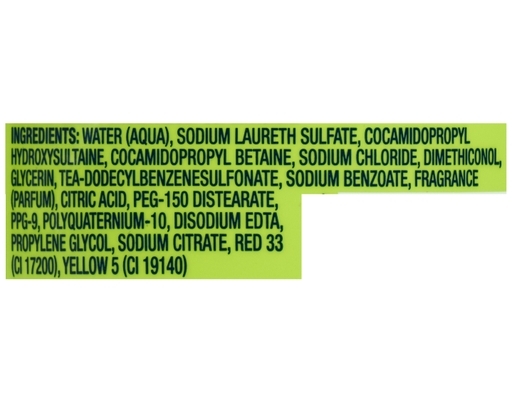 Dermatologist tested to keep tears at bay and make bath time a blast. This 3-in-1 watermelon shampoo and conditioner plus body wash packs a triple punch of fruity clean in one deliciously simple step.